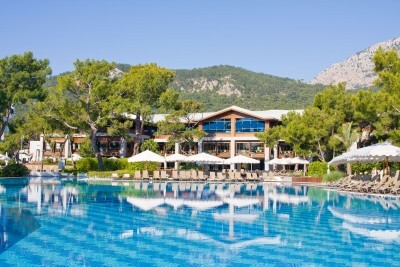 All inclusive Crete holidays are on the largest Greek islands and perhaps one of the most beautiful with its pleasing beaches framed against a backdrop of imposing mountain terrain. This green country at South of Greece is 260 kilometres lengthwise by 60 kilometres in width and contains many remnants of Roman and Turkish invasions such as ancient architecture and aqueduct systems. All inclusive family 2019 / 2020 packages in Crete holidays are also great for meeting friendly locals who usually speak English quite well. 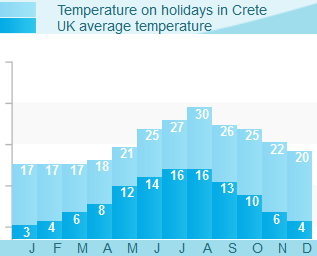 Crete holidays are enjoyable for many reasons. There are the party towns of Aghios Nikoloas and Malia and Greece’s best kept secrets for restful days in Ierapetra and Gerani. For a slice of Grecian tradition Panormo is where the real experience is on Crete holidays. Flight time from UK: 4 hours aprox. Cheap Crete holidays also offers curious insights into its colourful history in the form of some unforgettable trips. The Knossos Museum lets you into the secrets of Crete’s Minoan past and boasts an impressive Bronze Age archaeological site that tourists are free to browse around. Spinolonga was once a leper colony as recently as 1957and tourists can now take a boat trip to the island where a barbeque provides some nourishment before a dip in the Kolokitha Cove. Like Corfu holidays in Crete are also brilliant for entertaining kids at the local waterpark. Aqua Plus Waterpark has great shoots, rides and slides including the Black Hole, Lazy River and well maintained gardens. Crete all inclusiveare also a beach bum’s paradise with an astounding 96 beaches on the island having been awarded the prestigious Blue Flag.